Nevertheless, the search area for the missing plane has been expanded further with China deploying 10 satellites to figure out what happened to the plane. The search and rescue operation to find the Boeing 777 is conducted by a dozen of countries over the South China Sea. "Focus is on the West Peninsular of Malaysia at the Straits of Malacca," said the Malaysian Airlines in its statement on Tuesday. While the world is waiting for any news of the missing Malaysian jetliner, social media is abuzz with various conspiracy theories on what might have caused the disappearance of the Beijing-bound plane. Ever since the plane went missing, internet world is flooded with assumptions and suggestions to answer the thickening mystery. Skepticism of a terror attack or hijack is looming big as no distress signal or communication was received from the crew. The Interpol and the FBI are investigating the terror strike angle as two impostors travelled with stolen passport aboard the missing Malaysian flight. While the world is praying for the safety of the 227 passengers and 12 crew members, nearly a dozen countries have joined hands in the search and rescue operation of the missing jet. Some reports also suggest that there might have been a mid-air disintegration of the Malaysian Airlines flight due to mechanical flaws but no debris of the plane have been sighted so far. There are speculations that the flight might have crash-landed at certain untraceable island and passengers may be still alive, a situation similar to ABC's super-hit series Lost. The Malaysia Airlines Flight MH370 took off from Kuala Lumpur on Friday and was supposed to reach Beijing by Saturday morning. However, it went missing over the South China Sea within hours. 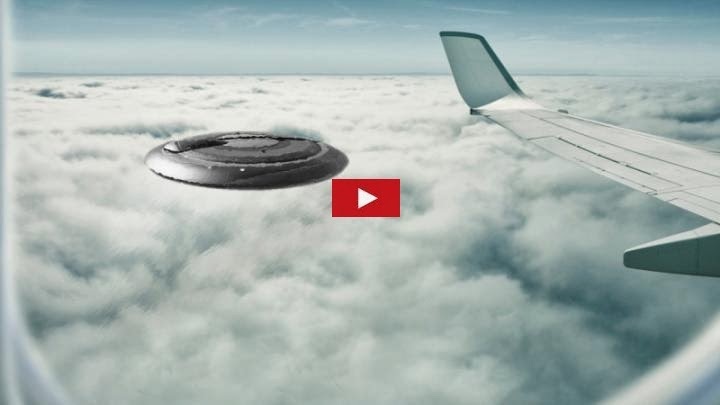 Meanwhile, a bizarre theory on the outer space and mid-air alien abduct angle to the lost Boing 777 too has surfaced online. The flight MH370 was flying at more than 35,000 ft when it disappeared in good weather condition fuelling the weird theory of an alien attack and abduction. The social media is abuzz with this theory as not even the super efficient Satellites were able to detect any trace of the missing plane. The alien abduction theory now holds more weight as the Chinese media claimed that some passengers' mobile phones were ringing when their relatives called while the American spy satellite too showed no sign of a mid-air explosion in its image. I still truly believe that the Malaysian plane went through a rip in time . I am positive that the people on that plane are alive in a different dimension.